Awana - AWANA Clubs are on Wednesday evenings (August-April), from 6:30 p.m. to 8:00 p.m. at the church. There are clubs for children ages 3-years-old through High School. For weekly events, see the church calendar. Children's Church - This ministry is available during the Sunday morning worship service for children age 3 through grade 6. Infant and Toddler Care - Your babies and toddlers will be well cared for during church activities. 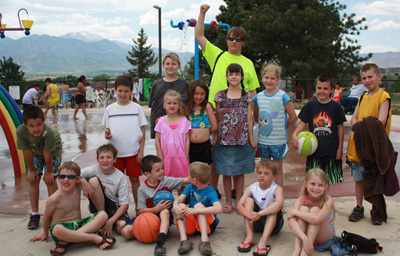 Vacation Bible School - VBS is held each summer for children in our community. Soccer Camp - Join us each summer for this exciting camp that is full of fun. Kids learn valuable soccer skills and lessons for life.